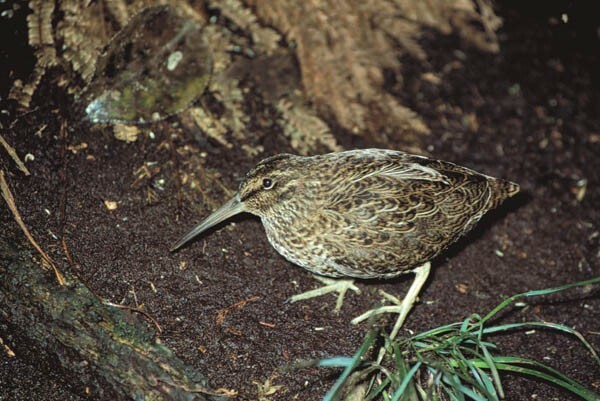 The Snares Islands snipe is the stockiest and most sombre-plumaged member of the New Zealand snipes. 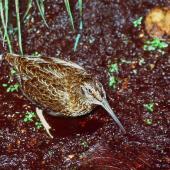 Between 1953 and 2010 it was considered a subspecies of what is now called the subantarctic snipe. Genetic comparisons then confirmed earlier suggestions that the Snares Islands birds were structurally distinct from the snipe found on islands further south. 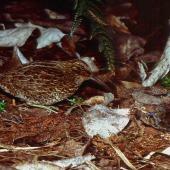 Naturally confined to a tiny island group, the Snares Island snipe has never been impacted by introduced predators. 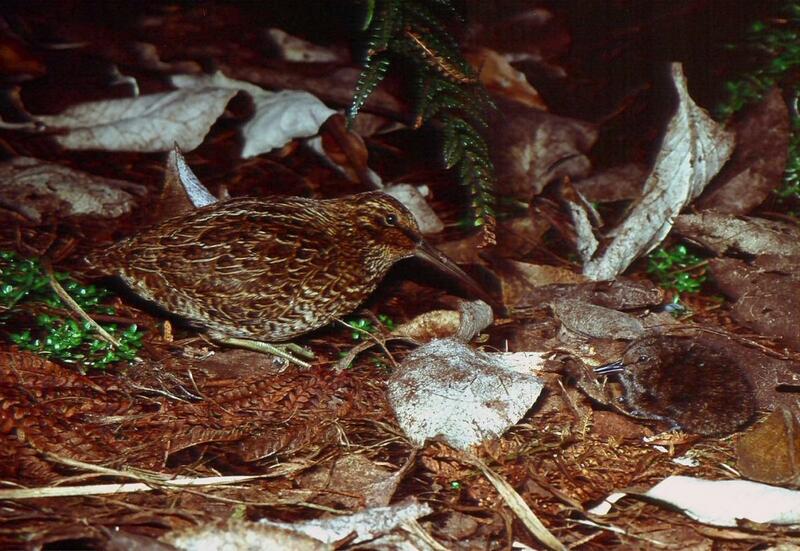 Following a translocation to Putauhinu Island in 2005 (to replace the extinct South Island snipe), and subsequent translocations to other islands near Stewart Island, the Snares Island snipe is probably more abundant than at any time in its evolutionary history. Snares Island snipe are unmistakeable within their range, as there are no other similar-sized ground birds present. 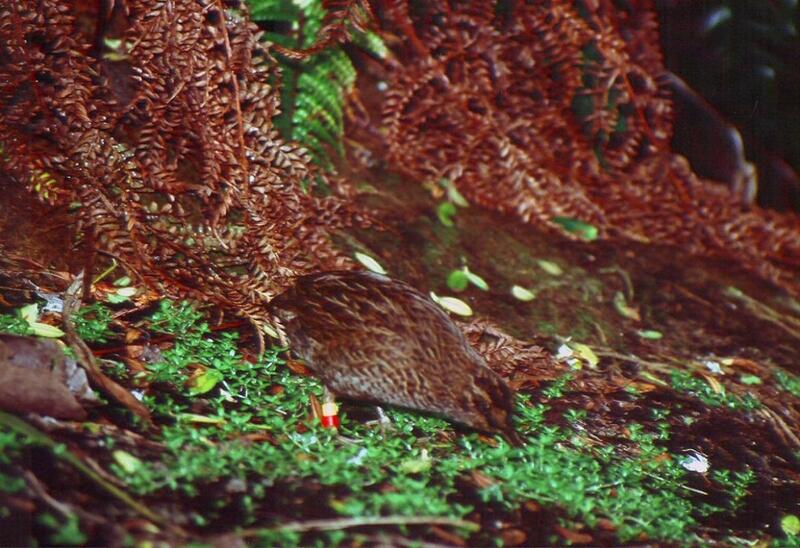 Compared to other living New Zealand snipes, Snares Island snipe are chunkier, with a relatively short bill and legs. 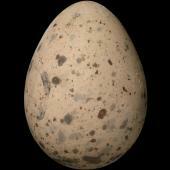 They also differ in having barred feathers on the belly, and less variegated dorsal plumage. Males usually have clearer buff edges to their dorsal feather than females, and also tend to have yellowish legs (cf. greenish in the female). Juveniles are duller than adults, with the plumage washed with grey, and legs olive. Voice (adult male): a strident chup chup chup sometimes building to a loud queeyoo queeyoo queeyoo. 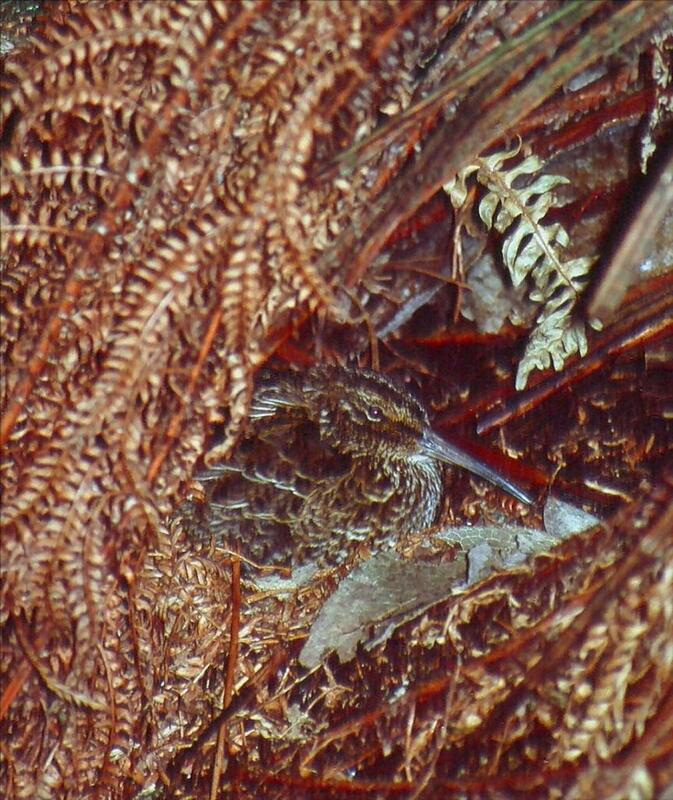 Snares Island snipe occur on North East Island (280 ha), Broughton Island (48 ha) and Alert Stack (5 ha) in the Snares Islands. They have been introduced successfully to Putauhinu Island (141 ha), a muttonbird island 107 km to the north-east, and (in December 2012 and 2016) to Codfish Island. On all these islands snipe occur most abundantly in areas with dense ground cover, including Poa tussock grasslands, and Polystichum fern under forest. The forest on the Snares Islands is predominantly subantarctic tree daisy (Olearia lyalli), and on Putauhinu a mix of Olearia species, southern rata, and Hebe elliptica. On the Snares Islands, snipe venture into more open areas at night, probing in dense swards of Callitriche antarctica and Crassula moschata. 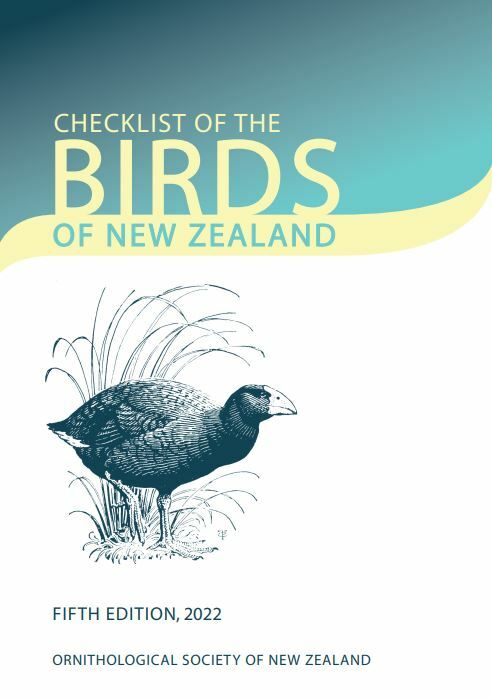 The Snares Islands population is about 400 pairs (c.1000 adults), and there were at least 320 birds estimated to be present on Putauhinu Island in 2011. 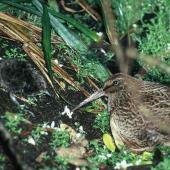 Snipe have been recorded at densities up to 10 birds per hectare on North East Island. However, densities are much lower in areas with little ground cover. 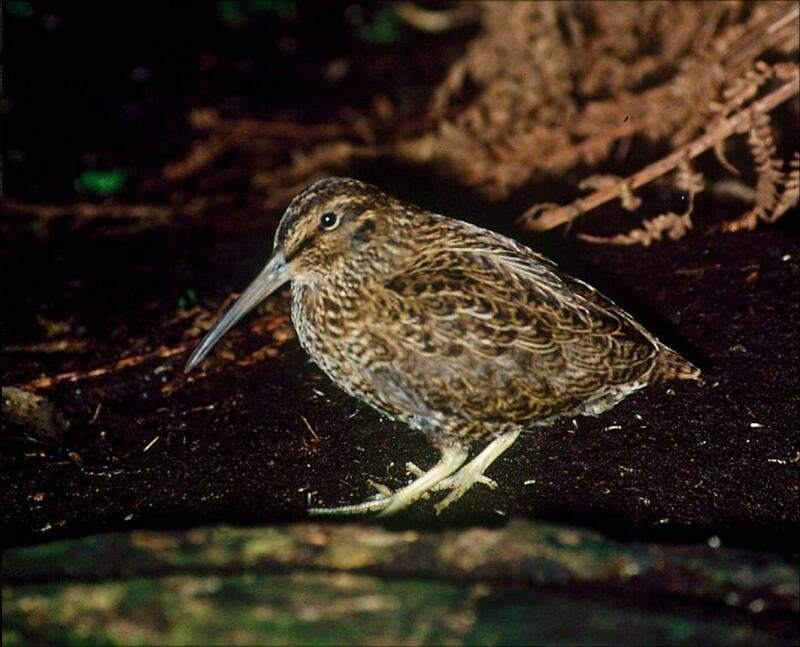 Snares Island snipe are one of the few New Zealand bird species that had no recognised impacts from humans – until a positive impact in 2005. No introduced mammal species ever established on the Snares Islands, which retained their original vegetation almost intact. 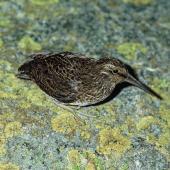 However, the entire populations of snipe and two other endemic landbirds (tomtit and fernbird) would be threatened by a single rat invasion. 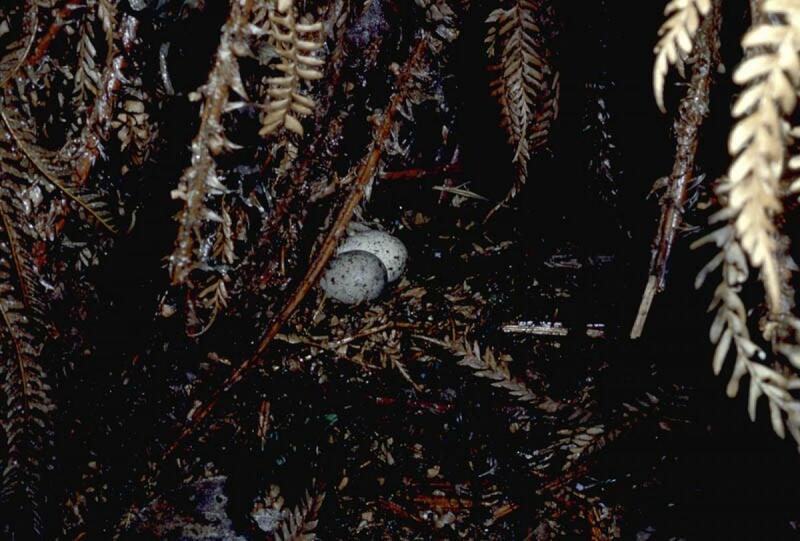 This was a major factor in the decision to release 30 Snares Island snipe on Putauhinu Island in 2005, where they filled the niche vacated by the extinct South Island snipe (last recorded on adjacent Big South Cape Island in 1964). 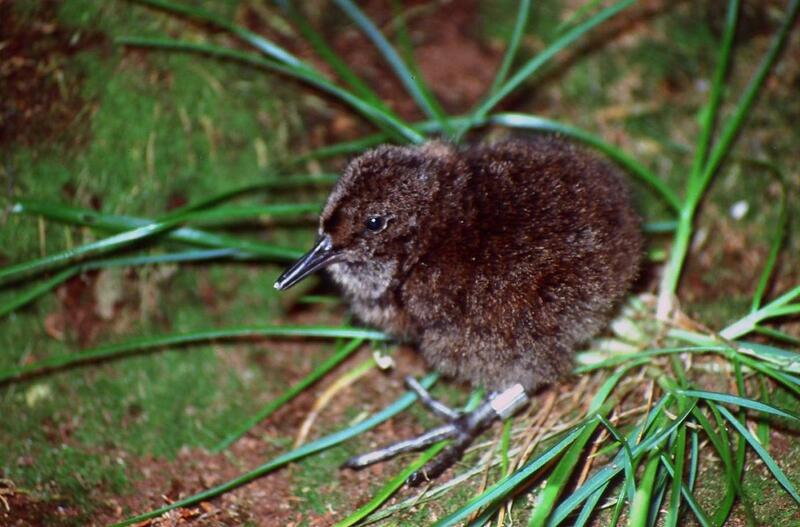 Snares Island snipe were subsequently translocated to Codfish Island/Whenua Hou (2012 & 2016), Kundy (2015 & 2017) and Mokinui Islands (2017), and are vagrant to other nearby muttonbird islands. Access to the Snares Islands Nature Reserve and Codfish Island/Whenua Hou Nature Reserve is strictly controlled by the Department of Conservation, and only a few families have the rights to visit Putauhinu, Kundy and Mokinui Islands to gather muttonbirds (sooty shearwater chicks). It is hoped that future translocations will include to sites with public access. Snares Island snipe mainly breed between November and March, laying two large eggs in a well-concealed nest at ground level. Both sexes incubate the eggs and share care of the chicks, with the male caring for the first chick to leave the nest, and the female the second. 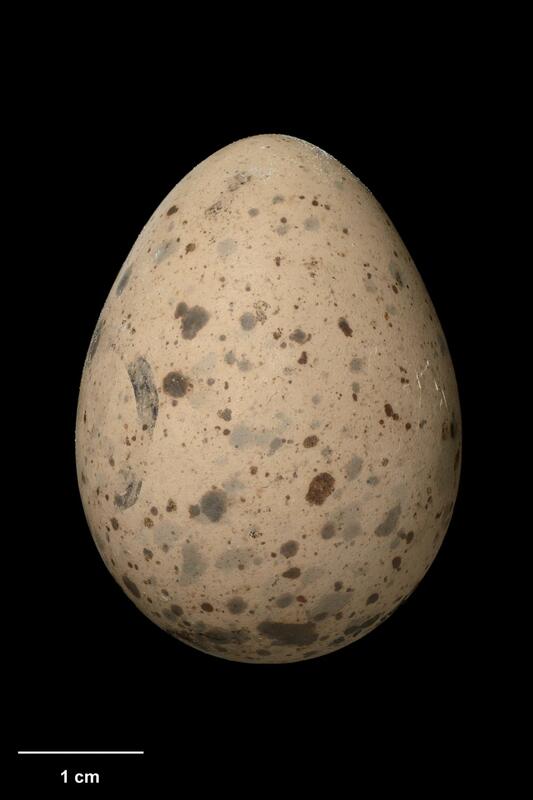 Chicks leave the nest on the day of hatching, and are cared for by one of their parents for 8-11 weeks. Each parent-chick pair is completely independent of the other, and if either adult loses its chick, it may attempt to breed again with a new mate. 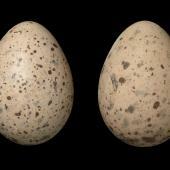 However, the original pair typically re-unite by the start of the next breeding season. 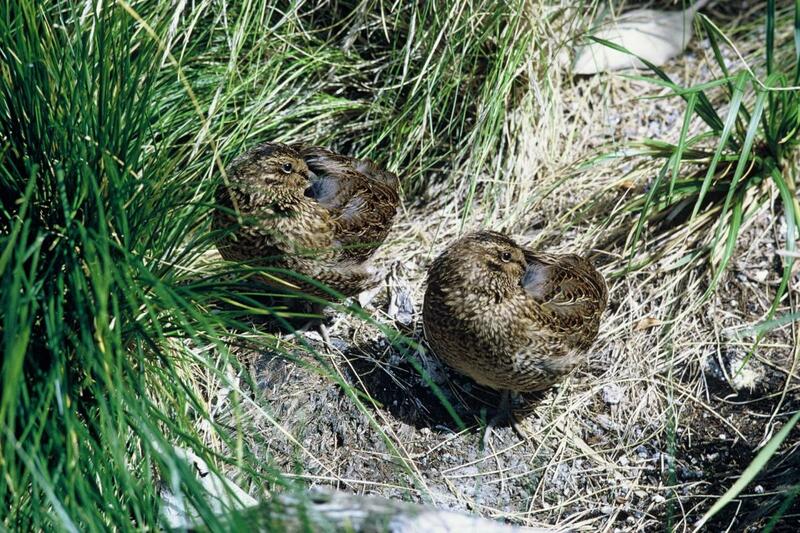 Snares Island snipe are typically seen in pairs – either courting adults, or adults caring for a single chick. The genus Coenocorypha is unique in the family Scolopacidae as its species are the only members that have courtship feeding. 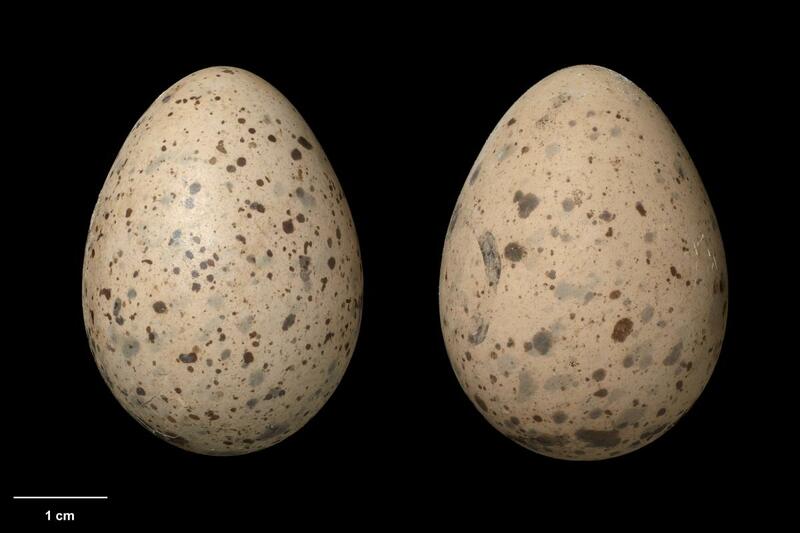 Males feed the females for the 3 weeks before egg-laying, providing some of the nutrients needed to form the large eggs. Adults also feed the chicks, with the chicks not starting to feed themselves until about 2 weeks old. Snares Island snipe can be seen foraging at any time of day or night, probing rapidly until they detect food, then plunging the bill in deeper to catch it. Most food is swallowed while the bill is still inserted, but larger items are extracted and manipulated before swallowing. On sunny afternoons, singles and pairs may sleep in a patch of sun among dense vegetation. 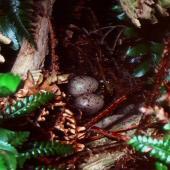 During heavy rain they often shelter under the impenetrable cover of Polystichum ferns. 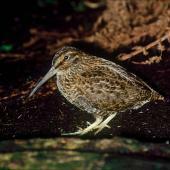 Snares Island snipe have never been heard to perform the nocturnal ‘hakawai’ aerial display given by other Coenocorypha snipe. 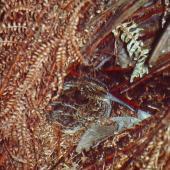 However, tail-feather wear believed to be caused by the display was seen on two of the males translocated to Putauhinu Island. 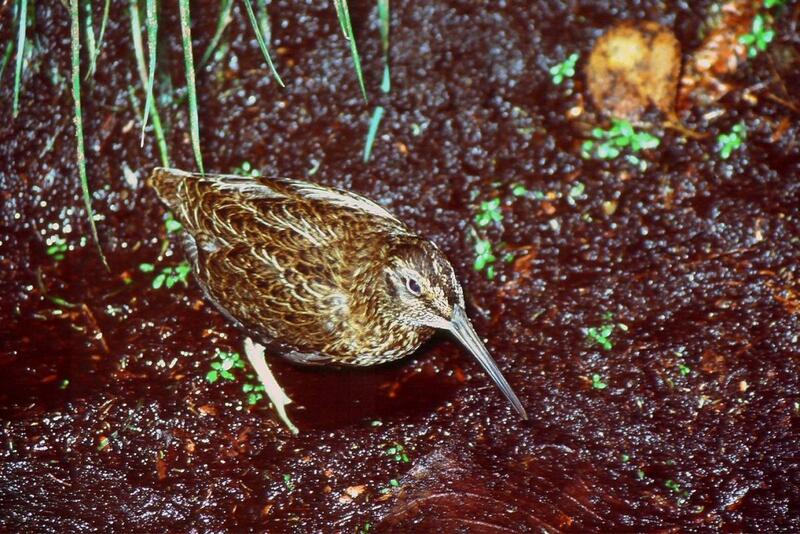 Snares Island snipe get all their food by probing in soil and mud, consuming a wide variety of the invertebrates found there. Major prey items include amphipods (hoppers), earthworms, adult beetles, and the larvae and pupae of flies and beetles. Baker, A.J. ; Miskelly, C.M. ; Haddrath, O. 2010. 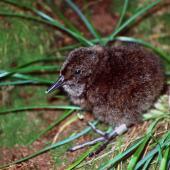 Species limits and population differentiation in New Zealand snipes (Scolopacidae: Coenocorypha). Conservation Genetics 11: 1363-1374. Miskelly, C.M. 1989. 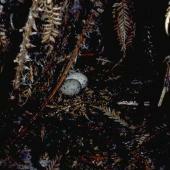 Flexible incubation system and prolonged incubation in New Zealand snipe. Wilson Bulletin 101: 127-132. Miskelly, C.M. 1990. 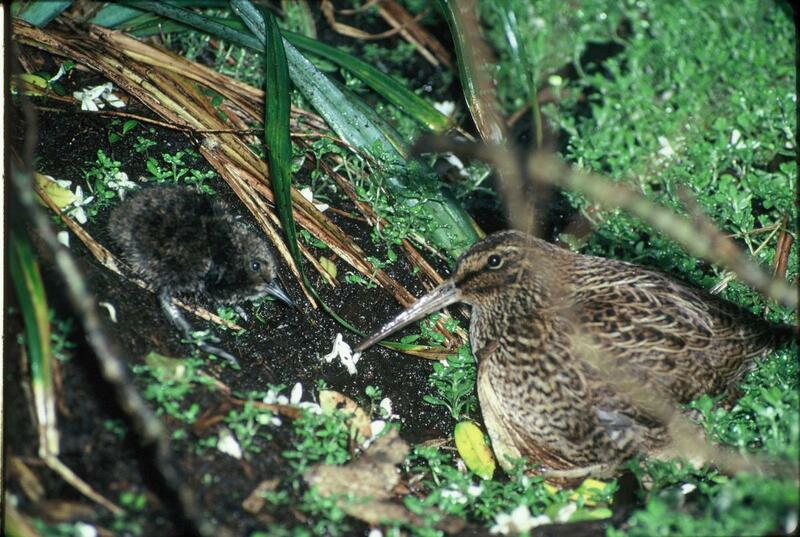 Breeding systems of New Zealand snipe Coenocorypha aucklandica and Chatham Island snipe C. pusilla; are they food limited? Ibis 132: 366-379. Miskelly, C.M. 1999a. 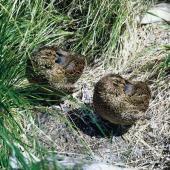 Breeding ecology of Snares Island snipe (Coenocorypha aucklandica huegeli) and Chatham Island snipe (C. pusilla). Notornis 46: 57-71. Miskelly, C.M. 1999b. 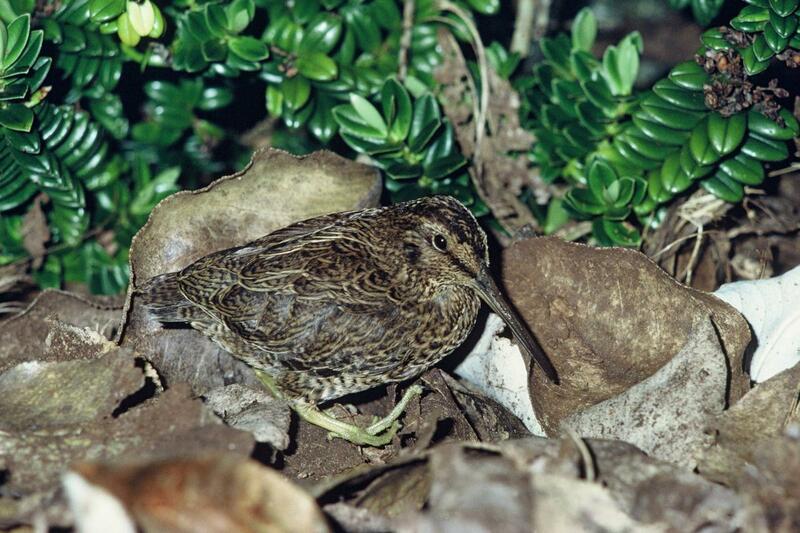 Social constraints on access to mates in a high density population of New Zealand snipe (Coenocorypha aucklandica). Notornis 46: 223-239. Miskelly, C.M. 2005. 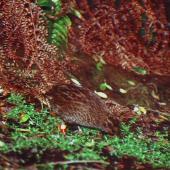 Evidence for ‘hakawai’ aerial displaying by Snares Island snipe (Coenocorypha aucklandica huegeli). Notornis 52: 163-165. Miskelly, C.M. ; Charteris, M.R. ; Fraser, J.R. 2012. 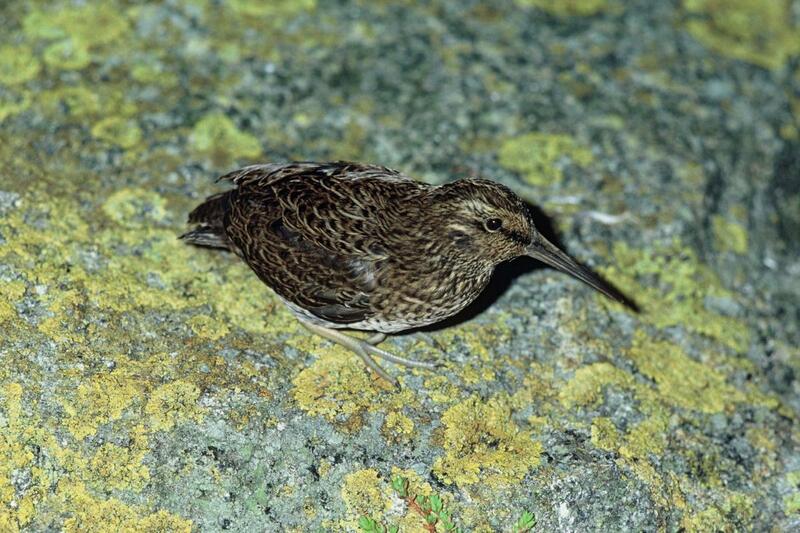 Successful translocation of Snares Island snipe Coenocorypha huegeli to replace the extinct South Island snipe C. iredalei. Notornis 59: 32-38. Miskelly, C.M. ; Sagar, P.M. 2005. Longevity record for Snares Island snipe (Coenocorypha aucklandica huegeli). Notornis 52: 121-122. Miskelly, C.M. ; Walker, K.J. ; Elliott, G.P. 2006. 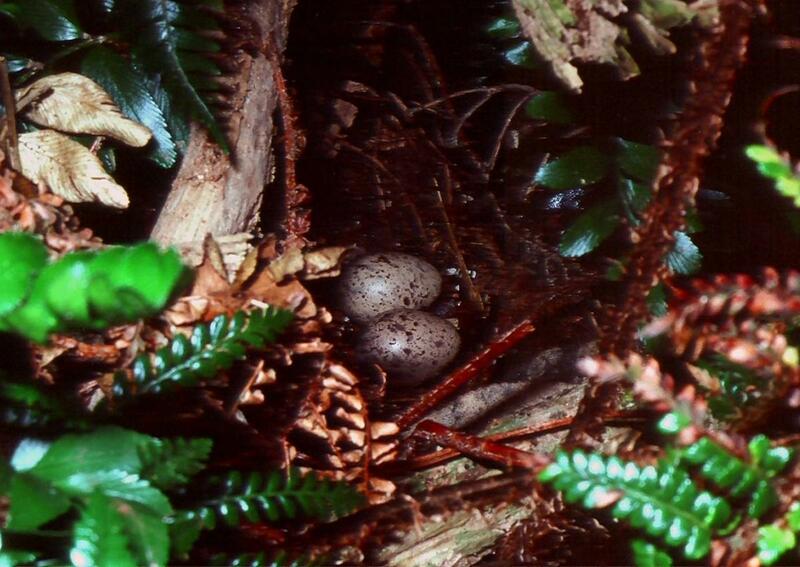 Breeding ecology of three subantarctic snipes (genus Coenocorypha). Notornis 53: 361-374. Worthy, T.H. ; Miskelly, C.M. ; Ching, R.A. 2002. Taxonomy of North and South Island snipe (Aves: Scolopacidae: Coenocorypha), with analysis of a remarkable collection of snipe bones from Greymouth, New Zealand. New Zealand Journal of Zoology 29: 231-244. 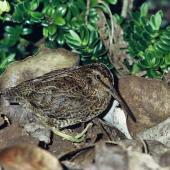 A well-camouflaged, plump, short-legged snipe mainly found among dense vegetation. Naturally confined to the Snares Islands, but translocated to several islands near Stewart Island.